OLD PARKED CARS. 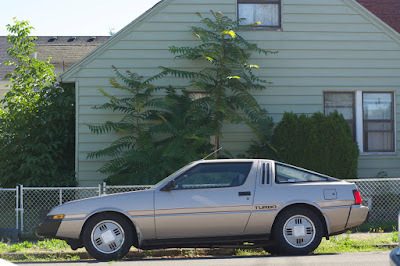 : 1983 Mitsubishi Starion. Wow wow wow. An early flatty. Super rare. And those wheels! and stripes! 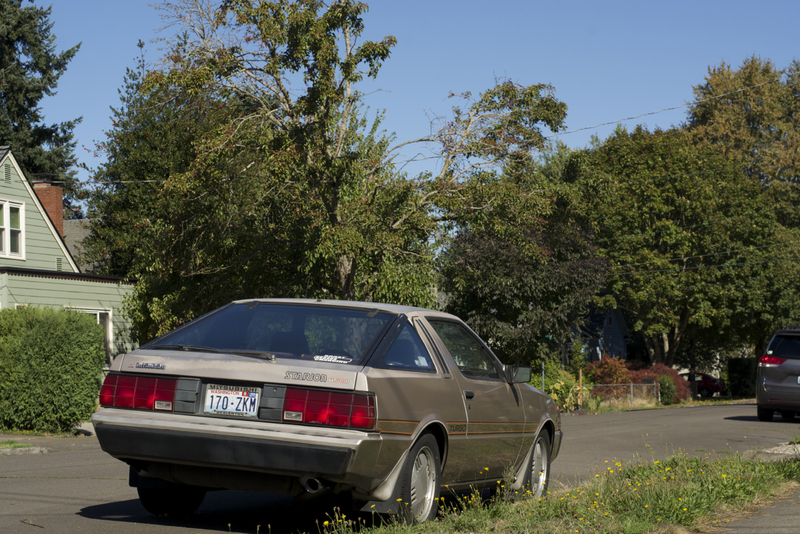 and hoodscoop! The side profile of this car is gorgeous. Is it me or the later ones got Pontiac-grade cladding? this really looks like a different car. crazy weird. love the glint of sun tracing the outline of the profile. I'm still not sure.....does this car have a TURBO in it??? The bright orange striping on the bump strip and the "digital" theme in the tail lights and wheels are definitely working for this car. I don't understand why some people seem to prefer the slab-side version of this car to the widened arches that came later, but it definitely gives the viewer a glimpse into the coke- and arithmetic-fueled design theory behind most of the cars from this era. My 11-year-old brother in law asked my why one of my cars had a lock on the gas cap yesterday. For that reason, the lid of this car stands out to me more than it should as a child of the 80's. 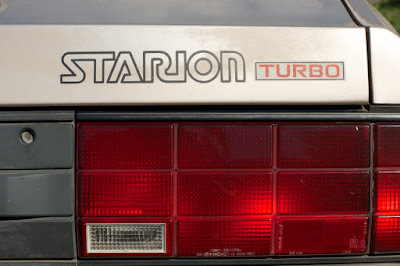 Did you manage to catch the seat belts with their "TURBO" stitching or did this model not come with them? No the later models did not have cladding, they were completely different fenders to accommodate the wider and bigger staggered width wheels on the later models. I owned an 1987 Chrysler conquest tsi (same car, better looking tailights) I personally think the flat side ones are ugly and look boring. This brings back some great memories. 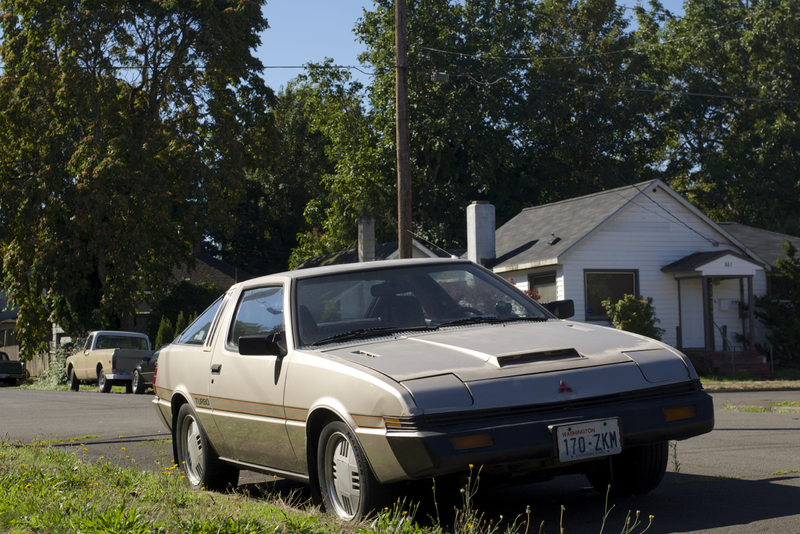 My friend drove one of these in high school. We had some good times in that car. 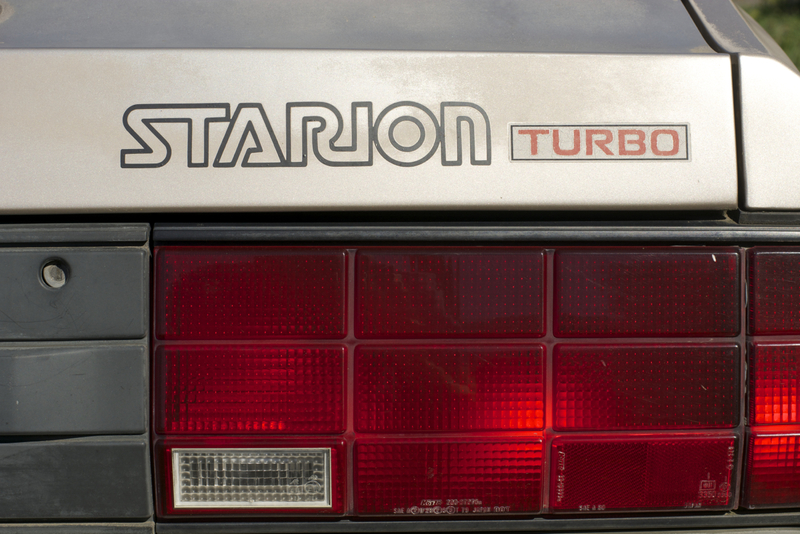 The Conquest and Starion were my dream cars in grade school. Still beautiful after all these years!